Dan Cochrane’s black-and-white photographs present a portrait of life at the border between the rural and the suburban. 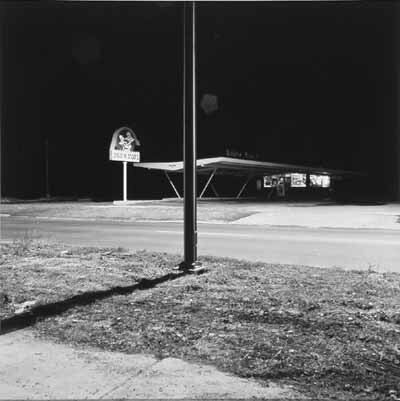 Often lonely and sometimes stark pictures of sparse signage at empty intersections, shops and houses illuminated at night on unpopulated streets, and older people just outside their homes suggest a quiet, perhaps fading world where little changes. 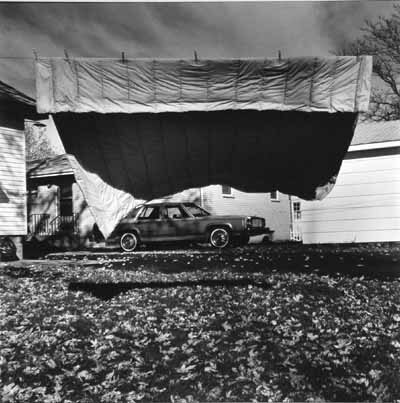 A freelance photographer who also teaches at Chicago’s Newberry Library, Cochrane holds a BFA from The School of the Art Institute of Chicago (1985). He has exhibited in Illinois at Café Express, Evanston; Community Gallery of Art, The College of Lake County, Grayslake; and Northern Illinois University Gallery, Chicago. 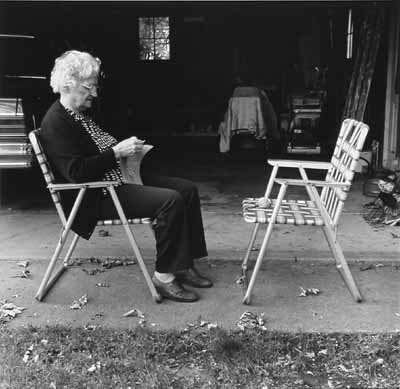 His photographs are in the permanent collections of The Art Instiute of Chicago, The College of Lake County, Lake County Museum, and The University of Oregon Museum of Art.